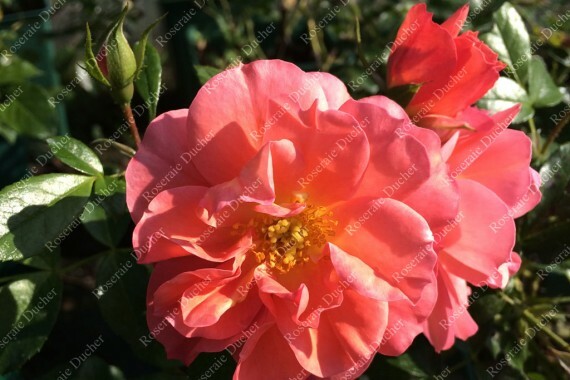 Fleur : semi-double, apricot turning to rose. 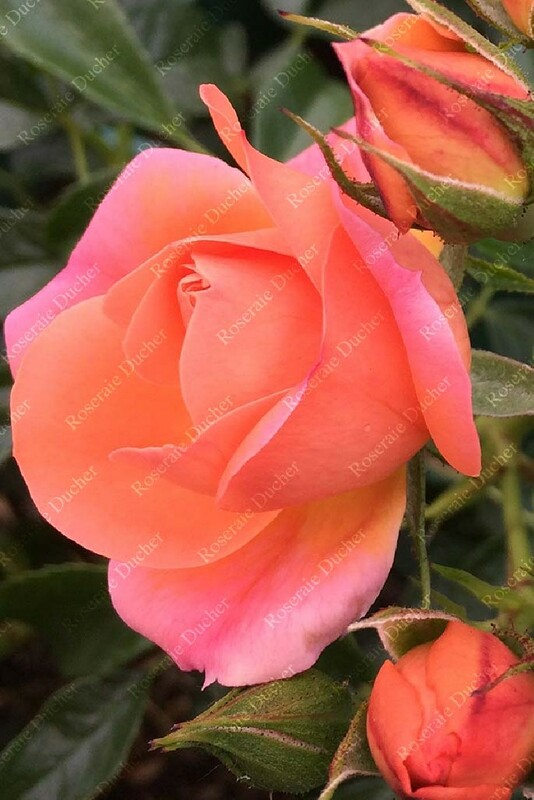 Hauteur : 0.9 to 1.2 m.
'Belle de Menthon ®' is a compact shrub rose of 0.9-1.2 m. Its shiny green foliage accentuates the semi-double the apricot flower's bouquets that turn pink. Their diameter is 4 cm. 'Belle de Menthon ®' has a tender fruity fragrance and blooms from the end of May to the first frosts. Easy to grow and generous, this rose shrub can be grown isolated or in massive. 'Belle de Menthon ®' was dedicated in the presence of Mr Antoine de MENTHON, Mayor of MENTHON-SAINT-BERNARD, Vice-President of the Grand Annecy, and of the association Jardins Animés, chaired by Laurence MICHEL. The dedication took place on May 20th, 2017.